Unroll dough onto cutting board. Cut out 10 to 15 (5x3-inch) strips. Place 1 cheese cube in center of each strip; sprinkle each with bacon. 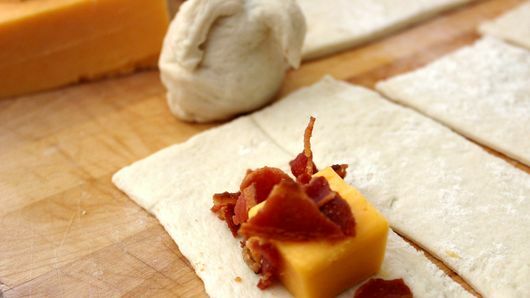 Wrap dough around cheese and bacon to resemble knot; pinch dough to seal tightly. Place on cookie sheet. Brush each knot with olive oil. Sprinkle tops with salt for a pretzel flavor. Bake about 15 minutes or until light golden brown. Serve warm and gooey with salsa for dipping. 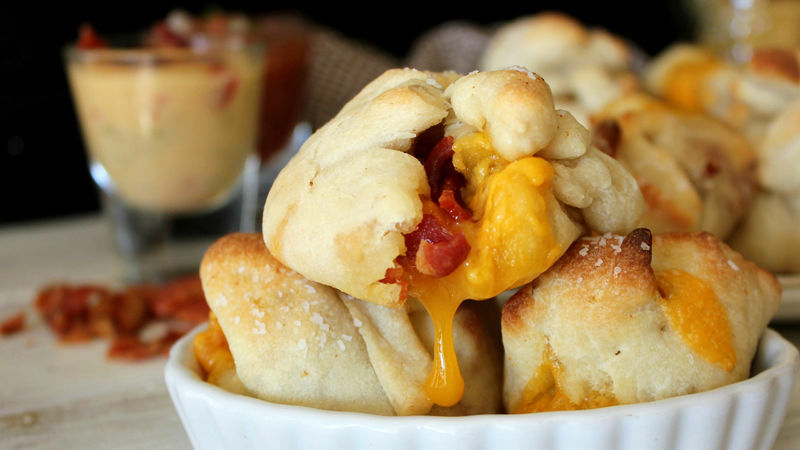 You can change up the cheese to add some variety. For extra flavor, sprinkle a little garlic salt on the knots before baking.